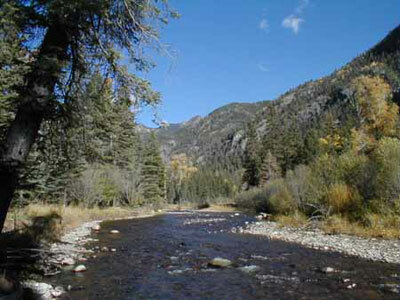 Southwestern Colorado’s rivers are unique in that many of the rivers and tributaries flow from north to south and are administered as independent river systems. This is due to the fact that many, such as the Navajo, Blanco, Piedra, Pine, Florida, Animas, La Plata, and Mancos Rivers, are tributary to the San Juan River in New Mexico or just upstream of the state line. The Dolores River flows from north to south, but makes a “U-turn” near Cortez and heads back to the northwest and joins the Colorado River in Utah. The San Miguel River originates just above Telluride, and flows to the west where it joins the Dolores River just above the Colorado-Utah state line. The first two miles of pipeline will be 14 inches in diameter to accommodate several laterals, Harris said. “Once we get into the rural area, we’ll use 8­inch pipe,” Harris said. The report, titled “Natural Acid Rock Drainage Associated with Hydrothermally Altered Terrane in Colorado,” was recently given an award by the Geological Society of America as the best environmental publication of 2011. The report identifies a number of high-country streams in Colorado, including Red Mountain Creek, where surface water is acidic and has high concentrations of metals upstream of historic mining. “Of course, the mining made it much, much worse,” commented Don Paulson, a former chemistry professor who is now curator of the Ouray County Historical Museum. 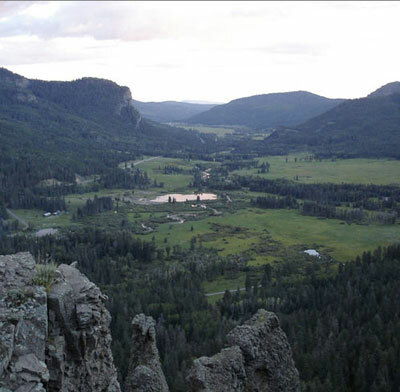 Paulson has followed efforts to identify sources of stream pollution and the remedial measures undertaken to improve water quality in the Uncompahgre River and its tributaries. 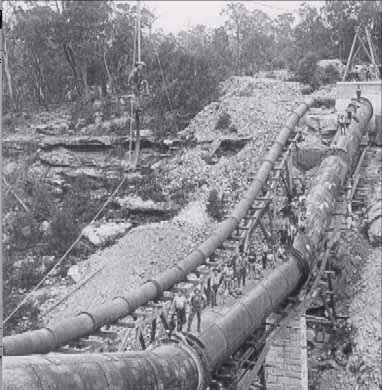 There was a big push to clean up the water affected by mine waste (and the role it plays in the inability of high country waterways to support aquatic life) in the 1980s. 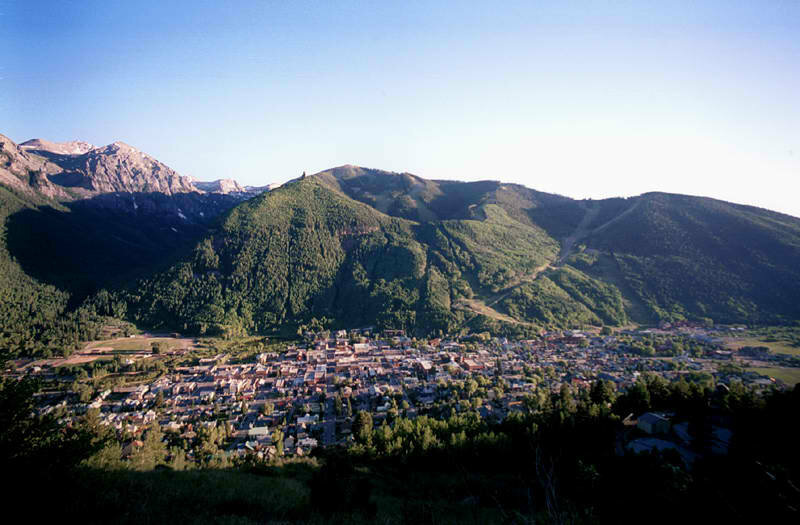 At that time the Colorado Department of Health (now Colorado Department of Public Health and Environment) first sued under the Superfund Act, then negotiated with Idarado Mining and its parent company, Newmont Mining, substantial cleanups on both the Telluride and Ouray sides of the mountain. The Telluride side saw improvements to the water quality of the Upper San Miguel River. But the acid pH and the levels of zinc and other minerals in Red Mountain Creek has not changed significantly despite Idarado’s remediation in the area of the Treasury Tunnel. The Colorado Water Conservation Board hosted an informational meeting Wednesday about its Drought Assessment for Recreation and Tourism, or DART. CWCB designed the program to fill gaps in the state’s drought impact data — which had been focused more on agriculture — and provide county-specific assessments. Hutchins-Cabibi sought more survey participants affected by drought, finding representatives from the Telluride Foundation, Mountain Studies Institute and other organizations around town at Wednesday’s meeting. But Hutchins-Cabibi said she needed as many participants as possible to make the survey more accurate. Honed in on the San Juan, San Miguel and Dolores River watersheds, DART’s Southwest Colorado component will evaluate a region of the state where tourism is particularly prone to the effects of drought. A preliminary list of industries DART will evaluate includes skiing, wildlife viewing, hunting, fishing, camping, golf, boating and rafting. Meeting attendees offered a number of other suggested industries from which to seek input; everything from dog sledding and horseback riding to dude ranch operation. 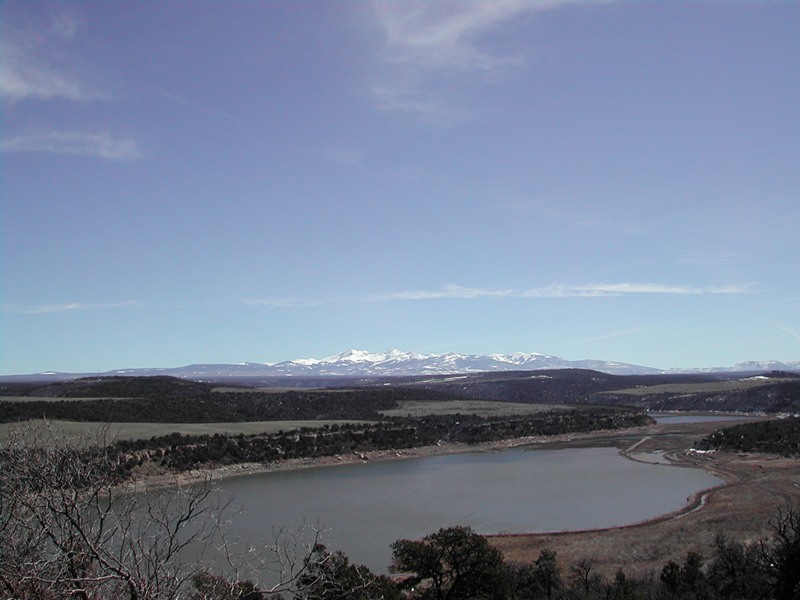 Cooperation with the Colorado Department of Corrections — which maintains fisheries in Cañon City — was also suggested. While DART’s main collaborators are CWCB, the Colorado Department of Agriculture and Colorado State University, the study incorporates a long list of other participants: Colorado State Parks; the Colorado Division of Wildlife; the Colorado Tourism Office; the National Park Service; the U.S. Bureau of Land Management; the U.S. Forest Service; Ft. Lewis College; the University of Colorado; area tribal communities; Telluride, Silverton and Durango Mountain Resorts ski areas; and the River Rafting Association. 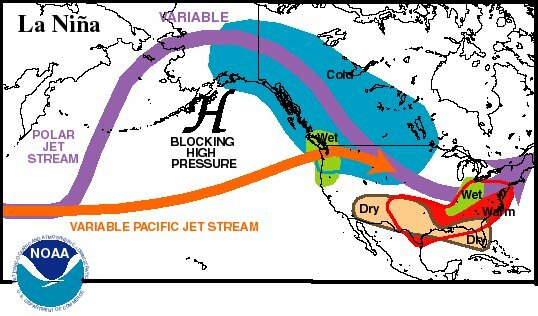 According to the National Weather Service, La Niña, a condition where colder-than-average sea surface temperatures off the coast of Peru push the jet stream further north, usually dumps precipitation farther north. First hitting the Pacific Northwest, these systems tend to travel through the Northern Rockies before expiring over the Ohio River Valley. Joe Ramey, another of NWS Grand Junction’s team of meteorologists, said that precipitation during the weeks leading up to the April ski area closure approached average levels. He compared this year to the 2000-2001 winter season, which produced La Niña weather patterns after a La Niña had occurred the year before. “The 2000-2001 season gives us the best idea of what will happen this year,” he said, adding that he expected below average precipitation in the Southern San Juan Mountains. From Telluride north, he expects near average snowfall, especially toward the end of the season. 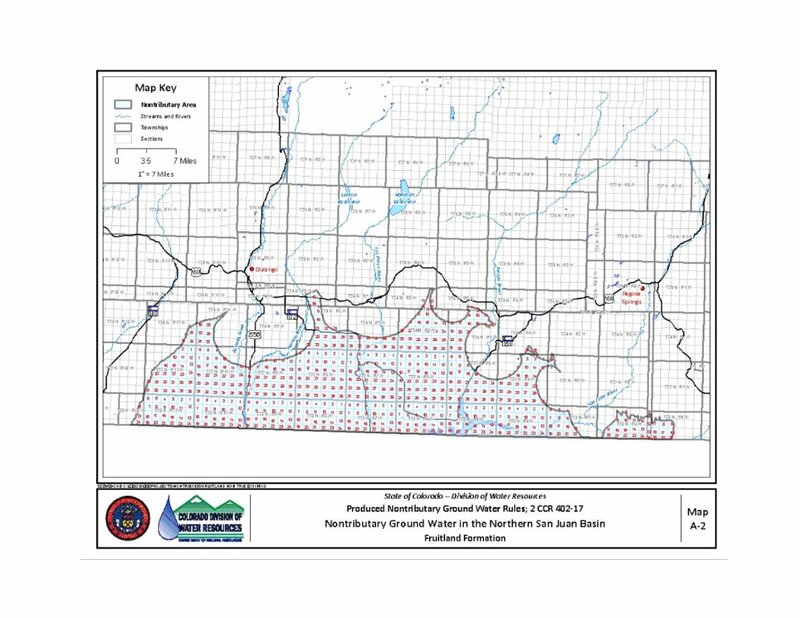 The Durango Herald reports BP America Production Co. and others had sought claims to nontributary groundwater, which isn’t considered connected to surface streams. Water Judge Gregory Lyman said last month that state law gives landowners the right to such water under their property, so companies need landowners’ consent first. Saba told the Times that the grease issue is not just restaurants. It’s residential customers too. “We have a pretty good idea of a resident dumping motor oil” into the system, he said. He urges residential customers not to put grease down the drain. More wastewater coverage here and here.